Directions: State St. To Left Onto Charter St.
Come home to this beautiful 3rd floor condo with central air and off street parking for one car in the heart of downtown Newburyport. 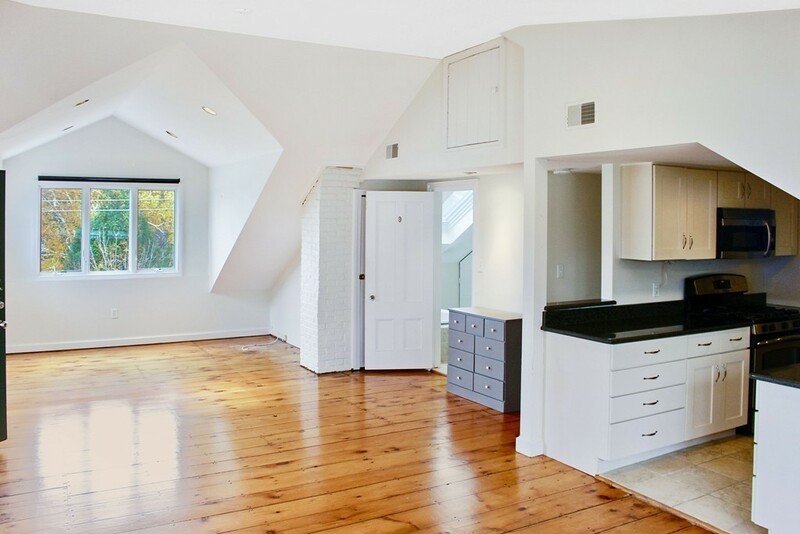 This beautiful home offers wide pine flooring, vaulted ceilings and is full of natural light! This bright, airy and open condo offers 2 bedrooms with one full bath that includes a relaxing soaker tub under a skylight, a separate stand up shower and in unit washer and dryer. The galley style kitchen comes equip with stainless steel appliances. Control the temperature of your home and save money with the Nest thermostat while you're home or away. Enjoy the private deck which soaks in natural sunlight for gardening and views of the sound end. Available now!